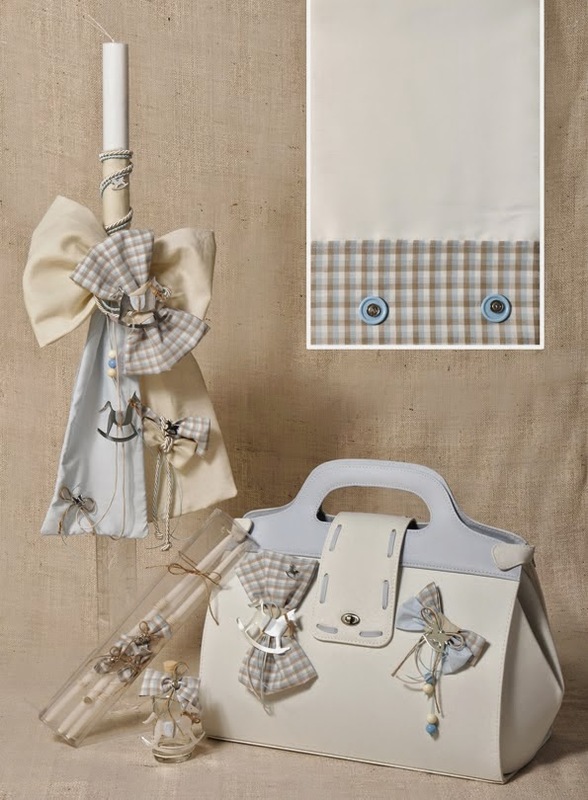 Elegant rocking horse themed christening set for boy, made with baby blue and beige plaid fabrics. It has been decorated with fabric bows, metal horses and twine. The Greek baptism set includes lampada, ladopana, suitcase, three candles, soap, oil bottle underwear and towels. https://www.preciousandpretty.com/2015/03/greek-christening-set-rocking-horse-sae111.html Greek Wedding Favors|Orthodox Crowns|Stefana|Baptism Invitations Greek christening set rocking horse SAE111 Rocking horse themed christening set for boy made in Greece Product #: Greek Wedding Favors|Orthodox Crowns|Stefana|Baptism Invitations_5413353089131491399 5 stars out of 5 reviews.